"NICHI" comes from the pronunciation of Japanese word "日", which carries the expectation of helping you to record the daily life. Also means cherishing the detail and emotion, feeling the miracle of time. Realistic materials restore the manual collage looking. • STICKERS: Nichi provides multiple clip art images, tapes, sketch, etc. 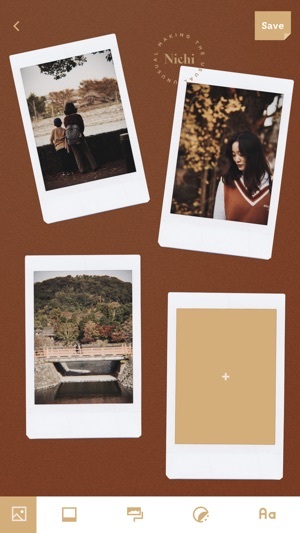 • FILTER: Including film, Polaroid and other retro style filters. 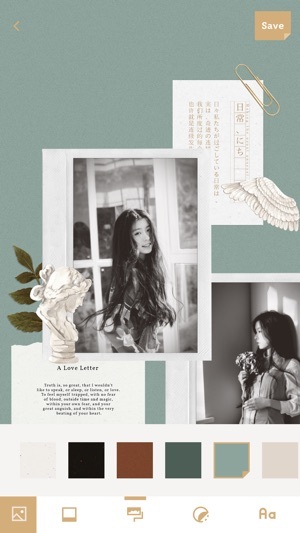 • FONT: Nichi has selective handwriting fonts, which can support Chinese Simplified, Chinese Traditional, English, Japanese, Korean respectively. • BACKGROUND: Simulate different paper textures with a variety of colors to choose. 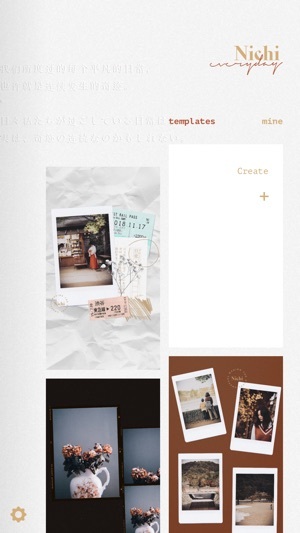 Nichi also has varied collage templates, easy to make collage, and also for the every individual photo. 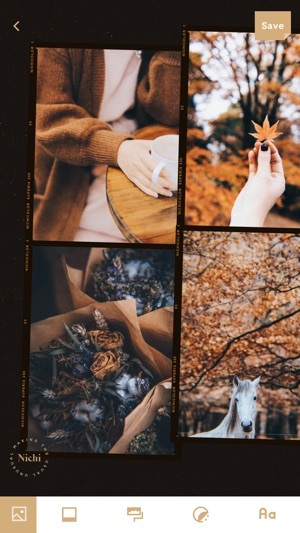 Free to move and zoom the photos stickers, text, etc. 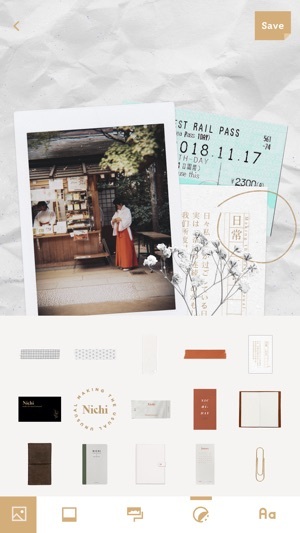 Nichi is more than a collage board. 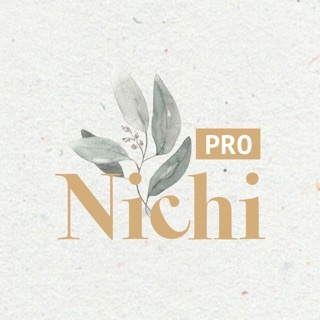 Join Nichi PRO, you are free to use all the materials of Nichi. We will update the material every month. Payment will be charged to your iTunes account at confirmation of purchase. Subscription will automatically renews unless auto-renewal is turned off at least 24 hours before the end of the current period. Your account will be charged for renewal within 24-hours prior to the end of the current period, and identify the cost of the renewal. You can managed to turn off auto-renewal in your Apple ID Account Settings after purchase. Any unused portion of the free trial period will be forfeited after purchases a subscription. - fixed a scaling bug when importing photos. Excuse me, I was should picture but it wasn’t show picture . Beijing Muke Technology Co., Ltd.